The '90s are full of unanswered questions: Where did all the Dunkaroos go? Why did our parents let us play with those torture devices known as Skip-Its? 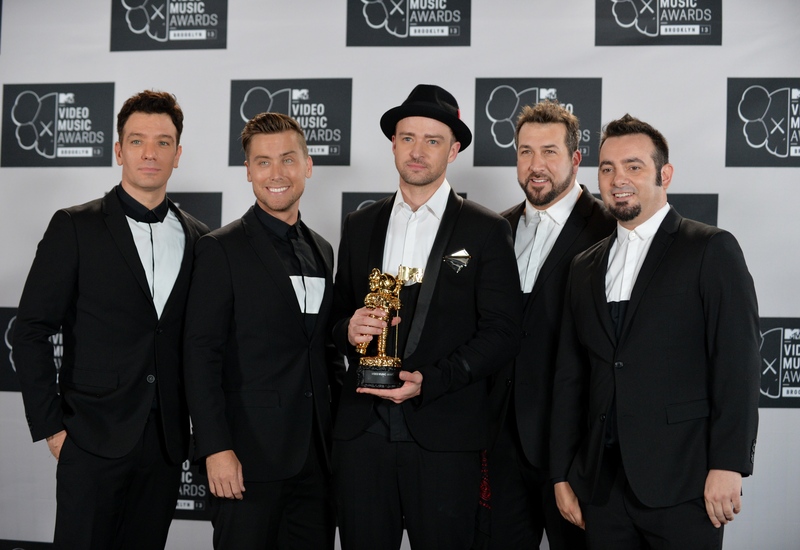 Why did *NSYNC have a star in their name? (And why did I always assume it was an asterisk?) I have no answers for those first two questions, but for the latter — the *NSYNC mystery has been solved by Joey Fatone himself. During an interview with The Huffington Post, Fatone shared the downright mystical reason for the star, and guys — it might just make you believe in magic. At the very least, it should give you a healthy respect for marketing. It seems the star began thanks to Israeli illusionist Uri Geller. Geller appears to be best known for bending spoons (here he is sitting on a throne of spoons that looks like it would rival the Iron Throne in uncomfortableness) and giving sage advice to pop stars. While *NSYNC was building their fanbase in Europe before hitting it big stateside, they had a chance encounter with Geller at London's Covent Garden. It was there that Geller gave the band a piece of magical advice: "We saw him in the U.K., and this is when we were obviously establishing *NSYNC, and he goes, 'I see something. It has to do with suns or stars or something with astronomy in your career,'" Fatone told Huffington Post. "And it's funny, a year later when we did the first album, for America, they had a star in it." Did the star actually come from Geller or was it some sort of psychic prediction? According to Geller, the idea was actually his. Geller told The Huffington Post he remembers his encounter with the band and claims, "We sat down and I wrote, on a napkin, NSYNC, and I drew a star in the cafe [in Covent Garden]." The star was meant to symbolize a future a rise in fame, which did occur when their first album — which included the star on the cover — hit number two on the Billboard chart. Geller even has the story on his official website. Was it all a big coincidence, or would Justin Timberlake and his band have faded into boy band anonymity without the star? The world may never know, but at least now there is an answer as to why the seemingly random bit of punctuation is included in *NSYNC's name. Now can someone get on that Dunkaroo thing? Because I need answers as to why I am no longer allowed to dunk tasteless cookies into delicious frosting.